Rainbow Creative Crafts (hereinafter referred to as “RecipeBlog“) AND You (hereinafter referred to as “User“). If you are entering into this Agreement on behalf of a company or other legal entity, you represent that you have the authority to bind such entity to these terms and conditions, in which case the term “User” shall refer to such entity. b) All the terms set here are presented in English language and it is the sole responsibility of user to understand these terms accurately in the language he understands. You must read, understand and agree with and accept all of the terms and conditions contained in these Terms, which include those terms and conditions expressly set out below and those incorporated by reference, before you use services or register at this website. c) We strongly recommend that, as you read this User Agreement, you also access and read the information contained in the other pages and websites referred to in this document, as they may contain further terms and conditions that apply to you as a registered user at this site. d) We reserve the right to modify the User Agreement at anytime by posting a new agreement on our site and by providing notice via email, where possible or on the site, you should always review them prior to using the Site. In case, any modification to the agreement is unacceptable to you, your only recourse will be to terminate this agreement. In case you continue to access any of our services after that time you will be deemed to have accepted any change. RecipeBlog.in offers a platform for the Users to upload Recipes and offers products for sale through it’s affiliates. These Services includes, but is not limited to, any services RecipeBlog.in performs for user, as well as the offering of any contents on the site or even social media channels. The Site and its contents are intended solely for the use of RecipeBlog.in users and may only be used in accordance with the Terms of this User Agreement. All materials displayed/uploaded on the Site, including, but not limited to text, graphic, logos, tools, photographs, images, illustrations, audio, video, animations and source code including without limitation the RecipeBlog.in online code are the property of RecipeBlog.in and are protected by India and International copyright laws. RecipeBlog.in may change, suspend or discontinue the services at any time, including the validity of any feature, database or contents. RecipeBlog.in may also impose limits on certain features and services or restrict user’s access to parts or all the services without notice or liability. Users shall own all content that he/she contributes to the site, but hereby grants and agrees to grant RecipeBlog.in a non exclusive, worldwide, royalty free, transferable right and license, with the right to sublicense, to use, copy, cache, publish, display, distribute, modify, create derivative works and store, such User content and to allow other to do so, in order to provide the services. User represents, warrants and agrees that it will not contribute any content that (a) infringes, violates or otherwise interferes with any copyright or trademark of another party, (b) reveals any trade secret, unless Users owns the trade secret or has the owner’s permission to post it, (c) infringe any intellectual property right of another or privacy or publicity rights and others, (d) is libelous, defamatory, abusive, threatening, harassing, hateful, offensive or otherwise violate any law or right of any third party, (e) contains a virus, trojan horse, worm, time bomb or other computer programming routine or engine that is intended to damage, detrimentally interfere with, surreptitiously intercept or expropriate any system, data or information, or (f) remain posted after user Content violates any of clause (a) to (e) of this sentence. RecipeBlog.in reserves the rights to remove any User Content from the site suspend or terminate User’s pursue any other remedy or relief available to RecipeBlog and/ or the Site under equity or law, for any reason (including, but not limited to, upon receipt of claims or allegations from third parties or authorities relating such User Content or if RecipeBlog.in is concerned that User may have breached the immediately preceding sentence) or for no reason at all. The web publishing services are freely available but from time to time, some paid/premium services or exclusive RecipeBlog.in merchandise are made available through the website. The respective prices are mentioned at appropriate section, which are inclusive of all the taxes but excluding shipping charges, if any. Further, Shop section contains products for sale through affiliate websites, over which RecipeBlog.in has no control in any way. The amount once paid on RecipeBlog.in is not refundable in any circumstance. But if you still have any concern, you can email to the customer care at info@recipeblog.in with proper details. During the Term of the applicable RecipeBlog.in Agreement, the RecipeBlog.in Services will be operational and available to you as a User at least 99.5% of the time in any calendar year in normal circumstances. And in case of any downtime or website access issues, you should email customer care at info@recipeblog.in. We try best to provide the best possible uptime but in case of extreme circumstances, which may or may not control. The user data and logs would be retained as a backup in RecipeBlog.in server for atleast 3 (three) months from the date of its creation. And otherwise also, we may retain such information in our systems but for a limited period, which may help not only in complying with the laws of India but also to make sure that we maintain enough backup of user accounts, which may either be required to be restored to the website server in unforeseen circumstances or to make available the information to the enforcement agencies, in case of any specific requests received in accordance with the law of the land. In case of any technical difficulty in the system, we will have backup available with us to restore the Data to the main Server. But in case of exceptional circumstances, it cannot be assured that we will always have at all times backup available with us. Further, you as a RecipeBlog.in user agree that in no case, RecipeBlog.in can be held responsible for excessive downtime or loss of data in any circumstances. a) To be able to use any services offered by RecipeBlog.in, you need to be of competent age as per the laws of your country, i.e. competent to contract. Further you confirm that any court, tribunal or any adept authority does not prohibit or impose any kind of restriction/conditions/order to enter this agreement or online services of nature and function similar to ours. b) You also confirm that your are not violating any applicable law by entering this agreement. We reserve the right to terminate your services and refuse to provide access to the Site in case of any such violation. c) You may also interact with RecipeBlog.in through various Social Media accounts, respective terms of those social websites as maybe applicable. As a registered user you are responsible for maintaining the confidentiality of your registered Account Username and Password maintained at either RecipeBlog.in and also other Social media accounts and for restricting access to your computer, and you agree to accept responsibility for all activities that occur due to your use or under your account or Password. a) To provide true, accurate, current and complete Registration Data about yourself in the registration form at RecipeBlog.in and regularly maintain and promptly update the Registration Data to keep it true, accurate, current and complete. b) To use the RecipeBlog.in or other social media services only for the purpose that are permitted by the respective Terms and any applicable law, regulation or generally accepted practices or guidelines in the relevant jurisdiction. c) To acknowledge that we at our sole discretion and at any time, may set limitations on the number of transmission you may send or receive through the Services or on the amount of storage space that can be used for the provision of this Service and as a result some features may be blocked or information deleted. d) That you will be solely responsible for any breach of your obligations under the terms and for the consequence of any such breach, including any loss or damage, which RecipeBlog.in may suffer as a result and that we cannot be held responsible to you or to any third party. e) That your account and the activity under it are subject to review from time to time by the webmaster. On the basis of the webmaster’s report, your account may be blocked (or in case of social media accounts, your access maybe blocked) or may become subject of deletion if found to be transmitting objectionable, obscene or offensive material or links to the same or otherwise found to be indulging in violation of the Code of Conduct, without any prior notice to you. f) That if your account is blocked in any circumstances including as provided under the terms, you may be prevented from accessing all the services available under this website. Further, you agree that you may not try to register under an anonymous name to get access to the site otherwise for any purpose whatsoever. g) That in case you do not login to your RecipeBlog.in Account for a continuous period of 6 (six) months, RecipeBlog.in reserves the right to remove and delete such inactive accounts. And such ID would be freely made available for registration by any other user. You must promptly notify RecipeBlog.in of any breach of security related to the Services, including but not limited to unauthorized use of your password or account. To help ensure the security of your password or account, please sign out from your account at the end of each session. ix threatens the unity, integrity, defence, security or sovereignty of India, friendly relations with foreign states, or public order or causes incitement to the commission of any cognisable offence or prevents investigation of any offence or is insulting any other nation. x is false, defamatory or libelous, inaccurate, abusive, vulgar, bigotry, hateful, harassing, offensive, obscene, profane, threatening, promoting racism, promoting illegal activities, promoting physical harm of any kind against any group or individual, invasive of a person’s privacy, adult material including pronography, or otherwise in violation of any Indian or International Laws. b) That you will not use the RecipeBlog.in website for any kind of promotion or spam or chain letters, unsolicited messages or any other related activity through the use of RecipeBlog.in services. c) That you will not develop or use any automated processes or any kind of scripts to view content on or communicate with the RecipeBlog.in site or its users in any way. d) That you agree to not (and permit anyone else to) copy, modify or extract the source code of the service or any part thereof. You further agree that you may not indulge in any kind of process, which may be termed as work of Reverse Engineer unless this is expressly permitted or required by law or unless you have been specifically told that you may do so by us, in writing. e) That you will not use the Service to distribute or upload any virus, trojan horses or do anything else that might cause harm to the Service, our systems or to other users’ systems in any way. f) That you will not indulge in any act of data mining in a bid to find any information of the registered users at RecipeBlog.in and will not solicit passwords or personal identifying information for any purposes from other users or try to crack the password of other users, which would be termed as hacking attempt. g) That you agree that you will not engage in any activity that interferes with or disrupts the RecipeBlog.in Services (or the servers and networks, which are connected to the Services). 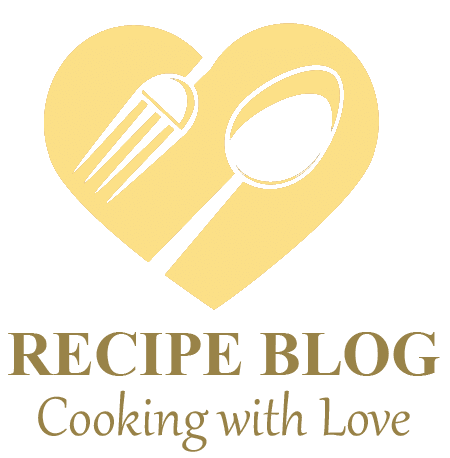 RecipeBlog.in services provided to you, may only be used for lawful purposes. That is, when you browse or sign up for our services, you agree not to use the account to send spam, distribute viruses, or otherwise abuse the service, which is provided herein as above. Otherwise also transmission, storage, distribution or presentation of any Content in violation of any and all applicable laws is prohibited. In case any violation of either terms or Law of the land is discovered, we may suspend the account and immediately initiate an investigation either internally or through any Government Agency, depending upon the circumstances of the case. You agree to grant the rights to us to reveal your identity (or any other related information collected on this service) if required by law or in case of any legal action or complaint arising from any situation caused by your use of this site. In exercising this right, we may ask you to provide any documentary or other form of evidence supporting the Content you have stored/transmitted through RecipeBlog.in. If you fail to produce such evidence, we may, in our sole discretion, block/terminate your access without notice. RecipeBlog.in may also randomly monitor the user accounts. Any such monitoring is done for evaluation purposes by supervisors and all the information is kept confidential. This is solely done to guarantee the highest level of service and to ensure accurate information is provided in a professional manner and may also help to detect any violations as stated above. b) You are responsible for all activity in connection with the Services and accessing the Site. Any fraudulent, abusive, or otherwise illegal activity or any use of the Services or Contents is violation of this Agreement may be grounds for termination of the User’s right to Services or to access the Site. Therefore, you agree that we, in our sole discretion, may terminate your RecipeBlog.in account or password or use of any or all of the services, for any legal reason or complexities. We may also in our sole discretion and at any time discontinue providing the Service, or any part thereof, with or without notice. c) Further, at the time of registration or otherwise interaction with RecipeBlog.in, if you provide any information that is untrue, inaccurate, not current or incomplete or we have a reasonable ground to suspect that such information is untrue, inaccurate, not current or incomplete, or not in accordance with the User Agreement. We have the right to indefinitely suspend or terminate your access and refuse to provide you with access to the Website or even social media access, wherever possible. d) Furthermore, you agree that RecipeBlog.in shall not be liable to you or any third-party for any termination of your access to the Service in any of the above circumstances. e) You may terminate your service at any point with or without cause by writing to us at info@recipeblog.in. To ensure users receive the highest possible level of service, RecipeBlog.in may randomly monitor the RecipeBlog.in services. Any such monitoring is done for evaluation purposes by supervisors and all the information is kept confidential. This is solely done to guarantee the highest level of service and to ensure accurate information is provided in a professional manner. In case of any Grievance with respect of any RecipeBlog.in services, you can contact the grievance officer, whose details have been published herein below for proper resolution. You can obtain assistance with any technical difficulty that may arise in connection with user’s utilization of the RecipeBlog.in Services by requesting assistance via email to info@recipeblog.in. We reserve the right to establish limitations on the extent of such support, and the hours at which it is available. You are responsible for obtaining and maintaining all telephone, computer hardware and other equipment needed for its access to and use of the RecipeBlog.in Services and users shall be responsible for all charges related thereto. a) Unless otherwise stated, all intellectual property rights including Trademarks, Logos and Copyrights in all material presented on the RecipeBlog.in site are the property of RecipeBlog.in, its affiliates and are protected under applicable Indian laws. Any infringement shall be vigorously defended and pursued to the fullest extent permitted by law. Unless you have been specifically permitted to do so or have a separate agreement with us in writing, you agree that you will not use any trademark, service mark, trade name, logo of any company or organization in a way that is likely or intended to cause confusion about the owner or authorized user of such marks, names or logos, including operating any competitive social media accounts and/or website. b) The Site and its contents are intended solely for the use of RecipeBlog.in Users and may only be use in accordance with the terms of this Agreement. All materials displayed/uploaded on the Site, including, but not limited to text, graphic, logos, tools, photographs, images, illustrations, audio, video, animations and source code including without limitation the RecipeBlog.in online code are the property of RecipeBlog.in and are protected by India and International copyright laws. User shall abide by all copyright notices, information, and restrictions contained in any content access through the Services. c) Users shall own all content that he/she contributes to the site, but hereby grants and agrees to grant RecipeBlog.in a non exclusive, worldwide, royalty free, transferable right and license (with the right to sublicense, to use, copy, cache, publish, display, distribute, modify, create derivative works and store, such User content and to allow other to do so, in order to provide the services. d) The Site is protected by copyright as a collective work and/or compilation, pursuant to India copyright laws, International conventions, and other copyright laws. Other than as expressly said forth in this agreement, User may not copy, modify, publish, transmit, upload, participate in the transfer or sale of, reproduce (except as provided in this section), create derivative works based on distribute, perform, display, or in any way exploit, any of the content, software, materials, or services in whole or in any part. User may download or copy the content or other items displayed on the site for download, for personal use only provided that Users maintains all copyright and other notices contained in such content. Downloading, copying, or storing any content for other than personal use is expressly prohibited without prior written permission from RecipeBlog.in or from the copyright holder identified in such content’s copyright notice. e) Without limiting the foregoing, copying or reproduction, for redistribution or other purpose, of the web site or any part thereof to any other server or location, including caching of any kind is expressly prohibited. 14. Notice and Procedure for Making Claims of Copyright or Other Intellectual Property Infringements. RecipeBlog.in respects the intellectual property of others and takes the protection of copyrights and all other intellectual property very seriously, and we ask our users to do the same. Infringing activity will not be tolerated on or through the Services. RecipeBlog.in’s intellectual property policy is to (a) remove material that RecipeBlog.in believes in good faith, upon notice from an intellectual property owner or their agent, is infringing the intellectual property of a third party by being made available through the Services, and (b) remove any User Content posted to the Services by “repeat infringers”. RecipeBlog.in considers a “repeat infringer” to be any user that has uploaded User Content to the Services and for whom RecipeBlog.in has received more than two takedown notices compliant with the provisions of Acts with respect to such User Content. RecipeBlog.in has discretion, however, to terminate the account of any user after receipt of a single notification of claimed infringement or upon RecipeBlog.in’s own determination. You should consult with your own lawyer and/or see provision of prevailing acts to confirm your obligations to provide a valid notice of claimed infringement. A party submitting a Counter Notification should consult a lawyer or see provisions of the acts to confirm the party’s obligations to provide a valid counter notification under the Copyright Act. Upon receipt of a Counter Notification, RecipeBlog.in shall promptly provide the party submitting a Notification of Claimed Infringement with a copy of the Counter Notification, and RecipeBlog.in will replace the removed material or cease disabling access to it in not more than thirty (30), business days following receipt of the Counter Notice, unless RecipeBlog.in’s Grievance Officer first receives notice from the person who submitted the Notification of Claimed Infringement that such person has filed an action seeking a court order to restrain the user from engaging in infringing activity relating to the material on RecipeBlog.in’s system or network. RecipeBlog.in reserves the right to seek damages from any party that submits a Notification of Claimed Infringement or Counter Notification in violation of the law. And the procedures set forth in this Agreement should be sent to the Grievance Officer to the postal address identified below. Any other comments, compliments, complaints or suggestions about RecipeBlog.in, the operation of the Services or any other matter should be sent to info@recipeblog.in. Users of the Site may gain access from the Site to third party/affiliate sites on the Internet through hypertext or other computer links on the Site. Third party sites are not within the supervision or control of RecipeBlog or the Site. Unless explicitly otherwise provided, neither RecipeBlog nor the Site make any representation or warranty whatsoever about any third party site that is linked to the Site, or endorse the products or services offered on such site. RecipeBlog and the Site disclaim: (a) all responsibility and liability for content on third party websites and (b) any representations warranties as to the security of any information (including, without limitation, credit card and other personal information). You might be requested to give any third party, and You hereby irrevocably waive any claim against the – Site or RecipeBlog with respect to such sites and third party content. b) You give Provider notice of such link by sending an Email to RecipeBlog.in and you discontinue providing links to this Web Site if requested by Provider. b) If any provision of the User Agreement is found by a court of competent jurisdiction to be invalid, the parties nevertheless agree that the court should endeavor to give effect to the parties’ intentions as reflected in the provision, and agree that the other provisions of the User Agreement remain in full force and effect. c) Users agrees that regardless of any statute or law to the contrary, any claim or cause of action arising out of or related to use of the Service or the User Agreement must be filed within one (1) year after such claim or cause of action arose, or be forever barred. d) The section titles in the User Agreement are for convenience only and have no legal or contractual effect. It is RecipeBlog.in policy to respond with reasonable promptness to subpoenas and other legal process served on us that seek information, documents or other business records. Specifically as to Copyright has been provided under clause 14 herein above. RecipeBlog.in will evaluate each such request based upon the applicable law and facts. When you visit the RecipeBlog.in, register or send online messages to us, you are communicating with us electronically. You consent to receive communications from RecipeBlog.in electronically. We will communicate with you by email or by posting notices on the RecipeBlog.in Site. You agree that all agreements, notices, disclosures and other communications that RecipeBlog.in provide to you electronically satisfy any legal requirement that such communications be in writing. RecipeBlog.in may assign this Agreement in whole or in part at any time without User’s consent. This Agreement shall be governed by and construed in accordance with the laws of India without regard to the conflict of laws provisions thereof. No agency, partnership, joint venture, or employment is created as a result of this Agreement and User does not have any authority of any kind to bind RecipeBlog.in in any respect whatsoever. RecipeBlog has no special relationship with or fiduciary duty to User. User acknowledges that RecipeBlog has no control over, and no duty to take any action regarding: which users gains access to the Site; which Content User accesses via the Site; what affects the Content may have on User; how User may interpret or use the Content; or what actions User may take as a result of having been exposed to the Content. You agree that neither RecipeBlog nor the site will be liable in any event to you or any other party for any suspension, modifications, discontinuation or lack of availability of the site, the Service, your Users Contents or other Contents, as provided herein below. Although RecipeBlog and the Site will make reasonable efforts to store and preserve the material residing on the Site, neither RecipeBlog nor the Site is responsible or liable in any way for the failure to store, preserve or access User Content or other materials you transmit or archive on the Site. You are strongly urged to take measures to preserve copies of any data, material, content or information you post or upload on the Site. You are solely responsible for creating back-ups of your User Content. RecipeBlog makes no claim that the site may be lawfully viewed or that contents may be downloaded outside of India. Access to the content may not be legal by certain persons or in certain countries. If You access the site from outside India, You do so at Your own risk and You are responsible for compliance with the laws of Your jurisdiction. a) RecipeBlog.in assumes no responsibility or liability from any loss incurred by the use of any services rendered through it. Users using the services are solely responsible for their actions. As we do not warrant the accuracy, completeness, or usefulness of any information presented therein. User expressly agrees that use of the service is at user’s sole risk. b) RecipeBlog.in shall be not responsible or liable for the authenticity, accuracy, completeness, errors, omission, typographic errors, disruption, delay in operation or transmission, communications line failure, interruption or malfunction (including but not limited to any kind of technical aspects), deletion, defect of any information, reports, service stops functioning due to technical problems, certain features not functioning at any point in the web site or any part thereof. c) RecipeBlog.in is not liable for any result that may arise from your contact, communication in any form, coordination, relation or transaction; either with other users, advertisers, affiliates, other websites or any resources that may be hyperlinked or any third party, and you are liable for any contract/term that may or shall be established by you, with these third parties, members, advertisers, other websites or resources that may be hyperlinked in the web site or any part thereof. d) RecipeBlog.in has no control over other website or resources which are provided by registered users or other persons and is not liable for any loss or damage which may be incurred by you or by your use of service to any third party as a result of the availability of any information contained on site or external sites or resources or any advertisement or hyperlinks, etc. in the web site or any part thereof. ● we make no warranty on any results obtained by the use of the service. ● we make no warranty on accuracy or reliability of any information obtained by the use of service. ● we make no warranty that the service will meet your requirements. ● we make no warranty on any technical defects in the website will be corrected. ● we make no warranty that the service will be persistent, timely, secure, error free. ● we are neither responsible nor liable for any result that arises due to the use of service by any user or content posted or transmitted through the site by any user. ● we do not assume any responsibility or liability for any illegal communication or Content posted or transmitted on the Site by any User, or any third party. All liability, whether civil or criminal arising out of any Content that is Stored or transmitted through RecipeBlog.in (including but not limited to messages / communication of electronic or any other means) will be of that User who has Posted such Content or communicated / transmitted such content or information. We reserve the right to claim damages from such Users, which we may suffer as a result of such storage or transmission. If you are in Do Not Disturb (DND) subscriber list with any telecom operator / authority / organization you need to intimate us. Further, you agree that you have no objection in receiving any messages by any means. On registration, company reserves the right to validate the registration information provided by either party over the telephone. You agree to indemnify and hold RecipeBlog.in and (as applicable) our parent, subsidiaries, affiliates, officers, directors, agents, and employees, harmless from any claim or demand, including reasonable lawyer’s fees, made by any third party due to or arising out of your breach of the User Agreement or the documents it incorporates by reference, or your violation of any law or the rights of a third party.